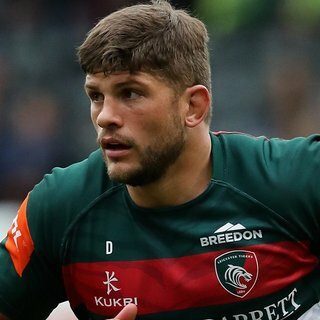 Leicester Tigers scored three tries in a 24-10 victory over Gloucester Rugby at Welford Road on Saturday to claim a first win of the Aviva Premiership season. 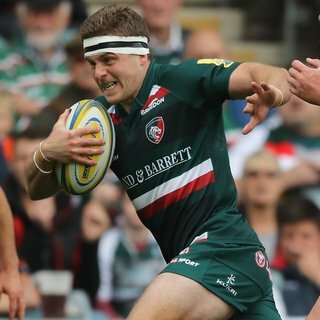 Two tries from scrum-half Ben Youngs in the opening 15 minutes gave Tigers early momentum and then Nick Malouf, with a powerful finish on the right, added his first score in English rugby, with George Ford converting all three for a 21-point cushion with just over 20 minutes played. There was no addition to the score by half-time and the second period began with 10 points from the visitors to give them hope. A Ford penalty gave Tigers a 24-10 advantage around the hour but they also had to dig deep in defence as the visitors continued to fight for a share of the points. 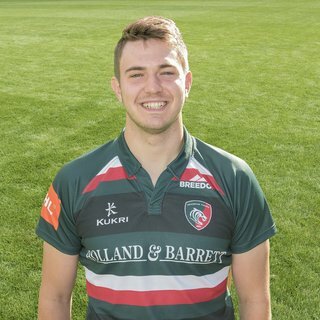 With Dom Barrow and Graham Kitchener joining Mike Fitzgerald on the injured list, Tigers gave a first Premiership appearance to academy graduate Joe Maksymiw, with Mike Williams starting a game for the first time this season. 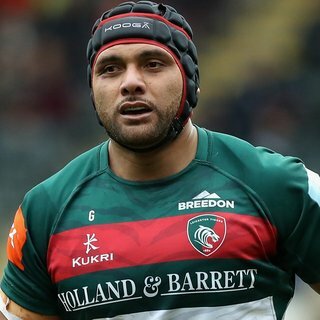 Tonga international Valentino Mapapalangi was included in the 23 for the first time after playing in the opening two games of the Premiership ‘A’ League campaign. 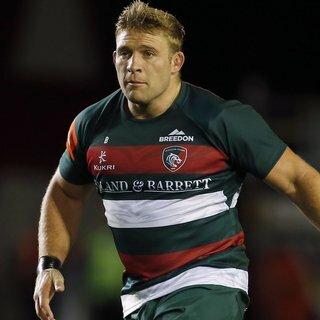 Ed Slater making a first return to the club he left in the summer, though Owen Williams and Fraser Balmain were both among the Gloucester injury lost which also claimed Billy Burns on the day of the game, with another ex-Tiger, Billy Twelvetrees, moving to fly-half. Tigers kicked off towards the Robin Hood Stand End and had Gloucester pinned on the edge of their 22 for the opening 10 minutes with Maksymiw, Matt Smith and Telusa Veainu making important advances. Possession was finally rewarded when Tigers were awarded a penalty in front of the posts with nine minutes gone and, with the defence bracing themselves for a kick, scrum-half Youngs went for a tap and burst through to score. Ford added the conversion for a seven-point lead. There was an immediate scare when Tigers first of all won turnover ball near their own line and then lost it again, only to gain respite when Gloucester were forced into an error five metres out. A fierce tackle from Matt Toomua on Henry Trinder got Tigers back on the front foot 25 metres out and led to a second try for Youngs. Ford chipped to the corner and with Sione Kalamafoni claiming ball at the front and Luke Hamilton steering the drive for the line, when the drive went to ground, Youngs showed his sharpness by diving in to score in the corner. Ford guided a perfect kick over from the touchline to stretch the lead to 14 points. A third came as the clock reached the 20-minute mark and showed the T8gers backline at its best, with Veainu drifting across a tackler and, as he picked up speed on the eight, Malouf took play on, showing pace and then power to finish. Impressive counter-rucking from Tigers had the home crowd cheering in admiration moments later, with Slater in possession on the floor but Ellis Genge and Harry Wells leading the work over the ball. Referee Maxwell-Keys gave Tigers the penalty and the home side were quickly on the front foot, first with Veainu and then Hamilton just metres from the tryline on the right. Another penalty followed as Tigers kept the pressure on, but this time Gloucester gained a penalty – their first of the game – as they closed quickly on the carrier. Ollie Thorley and Lewis Ludlow threatened a break for Gloucester down their left, but Matt Smith made a timely intervention, ripping possession from Henry Trinder just five metres from his own tryline. 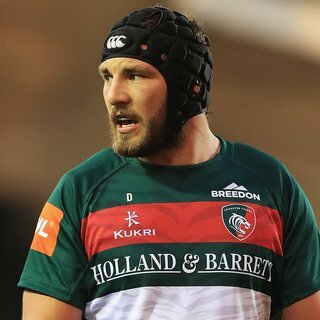 Wells showed his defensive strength again as Charlie Sharples tried to break out of the Gloucester half, with the Tigers lock proving immovable at the breakdown and gaining a penalty award. Mathew Tait entered the action as a head injury assessment replacement for Toomua as Ford kicked ball down to the left-hand corner, but ball was lost at the lineout and Trinder cleared beyond halfway. Tigers quickly turned defence into attack as half-time approached, with Veainu stripping ball and making the break, assisted by May. The support managed to keep the ball alive and, even when possession was lost, Tigers were able to come back to a penalty mark for offside 20 metres out. Ford turned down a shot at the posts but Tigers struggled to claim ball at the lineout and missed an opportunity to push for the bonus point. 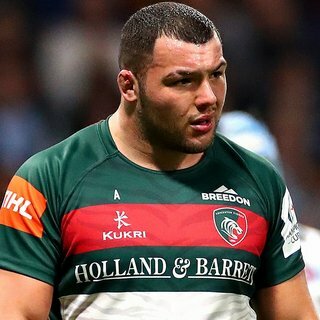 Toomua did not come back out for the second half and Tigers almost immediately found themselves under their own posts as prop Josh Hohneck latched on to a lateral run from Willi Heinz and scored. Twelvetrees converted to cut the deficit to two scores. Mapapalangi made his Premiership bow as the game restarted with young lock Maksymiw hurt in the build-up. A turnover from Genge near halfway provided impetus for Tigers, though they were unable to finish as Veanu and Hamilton took play almost to the line. In the build-up there was an ugly clash of heads between two defenders which left Trinder on the ground and requiring treatment. 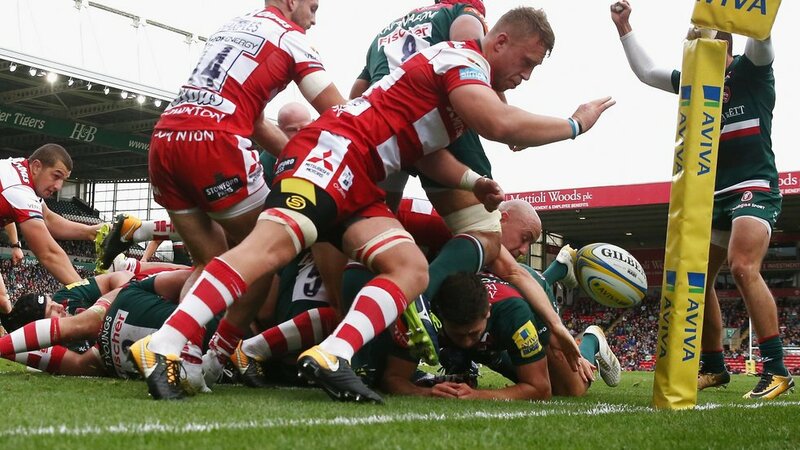 A break from Jason Woodward looked promising again for Gloucester, but even as Tigers closed in to defend, the visitors had the consolation of a penalty in front of the posts, with Twelvetrees knocking over the kick. The game opened up as Veainu and Smith combined on the left, Smith chipped over the Gloucester defence, and then Sharples threatened for the visitors. Genge and Williams also made impressive charges into the heart of the visitors’ defence without Tigers managing to get the scoreboard ticking again. Tigers again turned down a kick to goal with a penalty on the hour mark, but Slater got his palm to the ball as Gloucester cleared again. A superb turnover from Tait, ripping possession in the tackle, looked like providing a perfect chance for Tigers to score. But, even when Thorley palmed the ball forwards in the defensive line, the referee came back for a previous offside and Ford kicked the three=pointer for the Tigers’ first points in 40-odd minutes. Tigers survived a major scare as Matt Scott almost reached the tryline, but Tait relived the pressure as he scrambled to the loose ball first. Gloucester kept going with a penalty into the left corner and, despite setting up the drive, work from Wells and Harry Thacker closed the door. 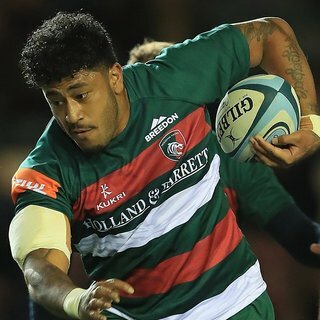 Mapapalangi made his presence felt as a ball-carrier as the game continued at a breathless pace, though he was also needed in defence as Gloucester enjoyed the better territory and possession. Finally, a penalty gave Tigers the opportunity to get back down to the other end of the pitch, the clock ticking into the final seven minutes. And it looked like it would provide the decisive breakthrough as Mapapalangi charged on to ball from Ford, only to see it bounce out of his hands with the defence scattered. The final minutes were played out on the Gloucester line, with a driving maul from the left stopped fractions short and then Tigers returning to the attack on the opposite flank as they chased a bonus-point score. But Gloucester again broke out before the game finally came to a close with four points banked. The decision to go for the corner pays off. Tigers drove over and Ben Youngs nips in at the corner for his second score! Is Youngs in for a second try? One change for the away side today with flyhalf Billy Burns dropping out of the matchday squad, with Billy Twelvetrees moving in to flyhalf and Henry Trinder in to the midfield. 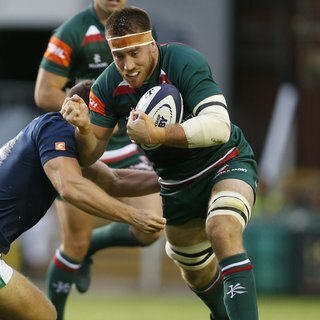 The first players to emerge from the Welford Road rooms for the home side are halves Ben Youngs, Sam Harrison, George and Joe Ford. AND... we're back at Welford Road for Round 3 of the 2017/18 AVIVA Premiership for today's encounter with Gloucester Rugby. The #tigersfamily are making their way through the turnstiles with kick off just 90 minutes away now. Teams will be confirmed just after 2pm and we'll have them here for you as soon as it happens. 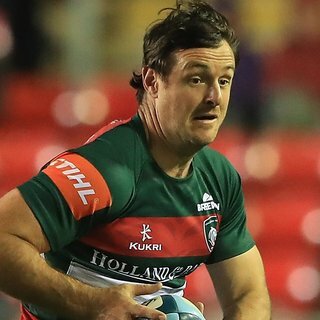 Leicester Tigers welcome Gloucester Rugby to Welford Road on Saturday with head coach Matt O’Connor saying there is room for improvement in all departments of the team. After defeat by Bath on the opening day and then Northampton Saints last week, Tigers go into Round 3 still looking for a first league win of the season. “We have to get a lot better,” said O’Connor. “We have to have better intent, execution and accuracy in all the things we are doing. We need to make sure we fix the things that let us down at Northampton and put in a performance we can hang our hat on. “After losing their first game we knew Saints would come out hard at us but we didn’t execute early on in the game, we didn’t manage the areas that could have got us a foothold and put them under pressure in the first half. Now we have to deliver on the things that make us a good side. “There are new people in the group and a few new combinations but there’s no excuse. Tigers and a Gloucester have a relationship stretching back into the early years of the club’s existence, with more than 100 wins each in 218 previous encounters. Recent history is in Tigers’ favour with just one defeat in the last nine meetings. 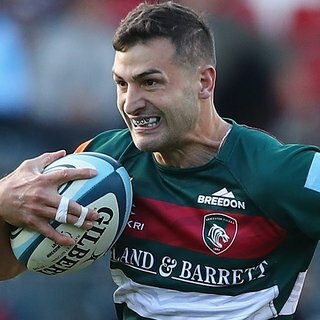 Team news is announced by both camps at noon on Friday, with Jonny May, Ed Slater, Owen Williams, Fraser Balmain and Henry Purdy all hoping to get the nod to face their former clubs. Referee for Saturday is Craig Maxwell-Keys in his 37nd Premiership match in charge. Kick-off is at 3.00pm and tickets are available now. Book in person at the Tigers ticket office or phone 0116 319 8888 (option 2)(open from 9.00am on matchday) or click here to book online at any time.